The main feature of Pokémon is the battles. Whether it’s the games, anime or manga medium, it is the main attraction. People resolve differences through yelling at their creatures to defeat the other, and even the Pokémon seem happy about it. But sometimes the system on which battling works upon appears strange. We can accept that a Squirtle will beat Charmander – after all, Water beats Fire. 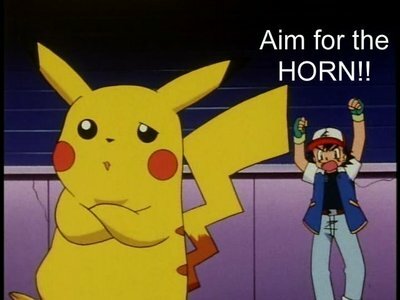 And Pikachu is great to have when going into Misty’s gym. Making sense of some of the stranger relationships however can require some abstract thinking. Why can Bugs beat Psychics? Ice struggles against Water, but not the other way around? And what’s the deal with Fairy types? This article is an attempt to explain the logic behind some of these (or at least point out how odd some typing relationships are), and even provide a background to the newest type of them all, the Fairy type. We can’t explain this logic, however. No Ash, Electric types can’t hurt Ground types! Pokémon Analysis: The Spinarak Line! Hope you don’t have a phobia of spiders! This time, the random number generator takes us from birds to spiders. There’s much less of a representation of that sort of animal in Pokemon, and the Spinarak line is the one we’ve got to play with. It does at least have a more unique typing than Pidove with Bug/Poison, and a thing for faces and having the wrong number of legs. Let’s see what there is to know about these spiders!